A fuel derived from felled trees may soon be eligible to receive a state subsidy. It would be considered a form of renewable energy. The Baker administration plans to designate a fuel derived from felling trees and clearing brush in forests as a form of renewable energy, a move that environmental advocates say would increase emissions and counter promises the governor made after President Trump pulled out of the Paris climate accord. The proposed rules, which stem from a provision in a 2014 law supported by the logging industry, would provide financial incentives for the energy source known as woody biomass — wood chips and pellets made from tree trunks, branches, sawdust, and other plant matter. Administration officials say biomass is part of an effort to diversify the state’s energy portfolio, and that over time, the fuel shouldn’t increase carbon emissions, especially when it’s used in place of fossil fuels. But environmental advocates have opposed the rules, saying they would in fact increase carbon emissions, create more pollution in the form of soot, and lead to greater deforestation. Trees and plants grow by absorbing carbon dioxide; when they’re burned, they release the heat-trapping gas back into the atmosphere. Critics also say the administration had the latitude to make the regulations far more stringent than the state has proposed. The law requires the state to ensure that the rules are “protective of public health” and reduce emissions. Fuel derived from felling trees in forests may soon be deemed a form of renewable energy and qualify for state subsidies. Supporters also say that biomass can be used to displace fossil fuels such as oil and coal, and that there’s little threat of deforestation in Massachusetts. They also note that regulations would require any users of biomass seeking the subsidies to employ emissions-control systems that reduce their impact. He and other proponents of the state subsidies for biomass argue that they would actually encourage the growth of forests. 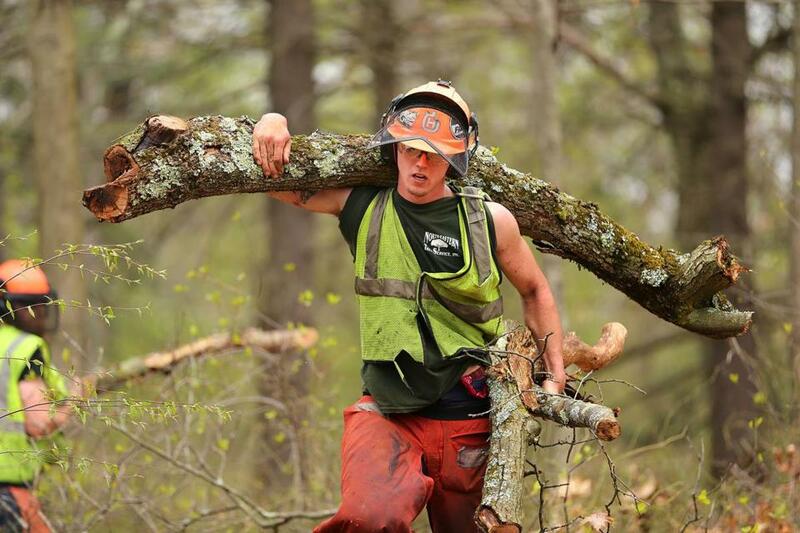 The more that private landowners can derive financial benefits from harvesting and replanting trees, the less likely they are to sell their land to a developer, who might use the land to build on, Thompson said. “Sustainability and efficiency standards included in the proposed regulations protect key forest functions,” he said. On Monday, state energy officials plan to hold their last public hearing on the regulations at Holyoke Community College. Environmental advocates promised to be there to protest. 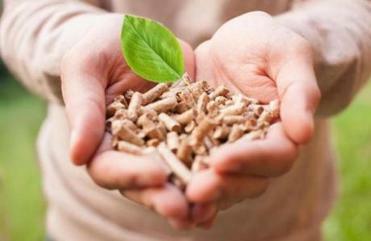 The state has been studying for years the pros and cons of using biomass for energy. Officials, who expect to enact the regulations in the coming months, acknowledge the concerns. But the study found that the overall impact on the state’s carbon emissions depends on how well landowners manage their forests, the technology and pollution controls used, what exactly gets harvested, what fuels biomass replaces, and how long it takes to regrow the trees. Biomass for heating homes and businesses now accounts for more than a million metric tons, or about 1.5 percent, of the state’s carbon emissions. The study concluded that large, utility-scale uses of biomass are likely to produce greater emissions than coal, even after 40 years, and more than natural gas, even after 90 years. However, the study also found that emissions from smaller-scale projects, such as using biomass to heat a building, could produce fewer emissions over 40 years than oil. Environmental advocates and proponents of biomass have both criticized the Manomet study. The environmental advocates say it underestimated the ultimate emissions, relying on overly optimistic assumptions by failing to account for the greenhouse gases produced by transporting the wood, making it into pellets, and packaging it. Supporters say the study’s methodology for accounting for emissions was flawed. One benefit of biomass, Baker administration officials said, was that the price doesn’t fluctuate as much as oil and other energy sources. The administration “remains committed to diversifying the Commonwealth’s energy portfolio through a balanced approach, and looks forward to working through the regulatory process to ensure that the Commonwealth both meets the demands of our ratepayers and reduces carbon emissions,” said Kevin O’Shea, a spokesman for the state Department of Energy Resources, which has been drafting the regulations. Neither O’Shea nor other officials would answer questions about the impact of the regulations on Governor Charlie Baker’s pledge to help make up for Trump’s decision to pull out of the Paris climate accord. The United States, which over the past century has produced more greenhouse gases than any other country, had pledged to cut its emissions between 26 and 28 percent below 2005 levels by 2025. In June, to emphasize his commitment to reducing carbon emissions, Baker pledged with other governors to join the newly formed US Climate Alliance. Since then, the administration hasn’t specified what it would do to offset the lack of federal action. The state was already struggling to meet is obligation under the 2008 Global Warming Solutions Act to reduce its emissions 25 percent below 1990 levels by 2020. Last year, the state’s highest court ordered the administration to enact specific policies to meet the law’s requirements. Administration officials have said the state is on course to meet its obligations, but environmental advocates have released reports raising doubts, especially given the closure of the Pilgrim Nuclear Power Station in 2019. Even if the new regulations require landowners to manage their forests sustainably, there’s no way to guarantee that pellet providers from other states would comply, the said. Much of the wood that goes into making the pellets comes from outside Massachusetts. “The language in the regulations is too vague to be enforceable to ensure we’re getting benefits from reducing greenhouse gas emissions,” said Caitlin Peale, a staff attorney at the Conservation Law Foundation in Boston. Beyond greenhouse gases, others have raised concerns about the soot that comes from burning wood, which can cause heart and lung diseases and trigger asthma attacks. Massachusetts already has more pollution from biomass than any other state in New England, according to the US Environmental Protection Agency. At a recent hearing in Boston, advocates urged the administration to reconsider the proposed rules.